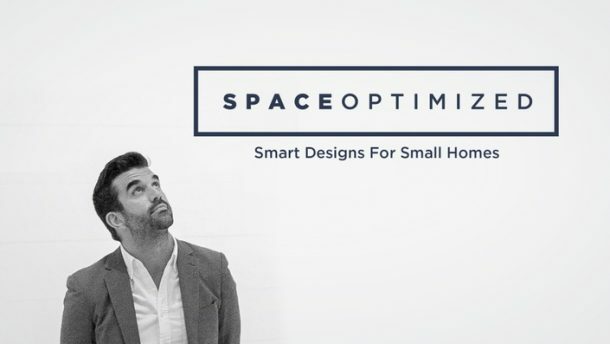 The scale is important when decorating a room especially if you live in a small apartment where the floor space is limited. Large pieces of furniture could easily take over the entire room, making the nursery look and feel cramped, stuffy. Decorating a room according to its size tricks the eye into making the space look even larger. If you are working with a small nursery then it makes sense to decorate it with equally petite pieces of furniture. This way, you can add functionality and style to the space without blocking certain areas of the room. Before shopping for furniture, take measurements. Don’t buy things impulsively, check the dimensions so the furniture pieces fit the room perfectly. It’s easy to go overboard with the baby shopping, there is too many cute stuff out there! But before you hoard all the cute pillows, rugs, soft toys and whatnot, take a moment to consider where you will put all these stuff. Do not fill the nursery with too many things because 1) too many baby decors will eat a lot of space and 2) cleaning the room will take forever. You want to dedicate the room to your baby, not to Snow White and the seven dwarves (+ all of her woodland friends). Focus on the essentials first, make room for several baby decors then take it from there. Do not buy baby stuff just for the sake of filling up a space; make the room design functional and intuitive. 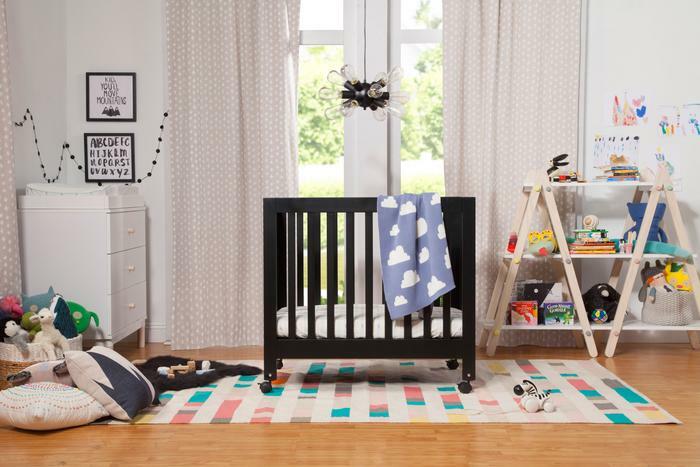 Color adds exuberance to a room and the nursery’s color scheme will shape its overall look and feel. It’s hard to choose a color scheme but one thing that’ll make the process easier for you: stick to a color scheme. Avoid picking too many colors. Incorporating an explosion of colors sounds like a great idea for the baby’s room but the design won’t be cohesive at all. We recommend choosing two to three colors that complement each other. Then, fill the room with decors that come in shades that complement the room’s color scheme. The room will look cozy yet put together by pairing complementing shades together. Thinking of sticking to a character theme? Building the room’s design around a character theme makes decorating easier but the lifespan of the design won’t last for long. Some character themes may be popular now but they’ll be old in just a few short years. If the room looks dated, it won’t be long before it will require another update, which can be expensive. Think about it, your child may enjoy Peppa Pig or My Little Ponies room decors right now but in 3 to 5 years, these shows will not be as popular anymore. Will your baby love these characters as much in a year or two? Save your money now by sticking to classic room designs that grow with your child. These designs are timeless; they will not fade with the trends. You can always use a couple of themed decors to add fun and character to the space. But leave certain room features alone, like the wall colors or furniture. These are costly to replace. A fabulous rug makes a terrific addition to the nursery. But when designing a nursery, don’t focus too much on the design, you have to think about the size too. Too-small area rugs could make the room look smaller, awkward, or unbalanced so don’t set it in the middle of the room. 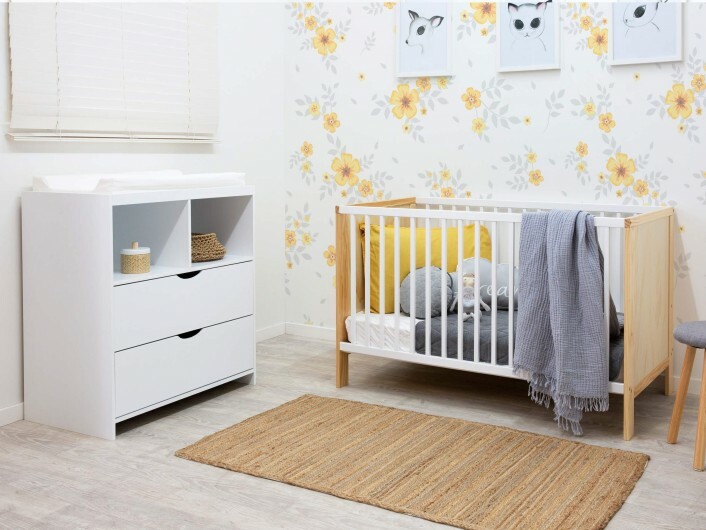 That’s not to say you cannot use smaller area rugs for the nursery, you can, but only to accentuate the room or define certain parts of the nursery, like the crib or the changing table. No matter how well designed a nursery is, the wrong rug could ruin the overall look of the room. A large rug is best for the nursery, one that can be tucked under the furniture and cover most of the floor. It will make the room appear larger than it really is. Furniture and décor placement matters because it enhances the flow of the room. The flow of the room is important; it makes the design look balanced and put together. 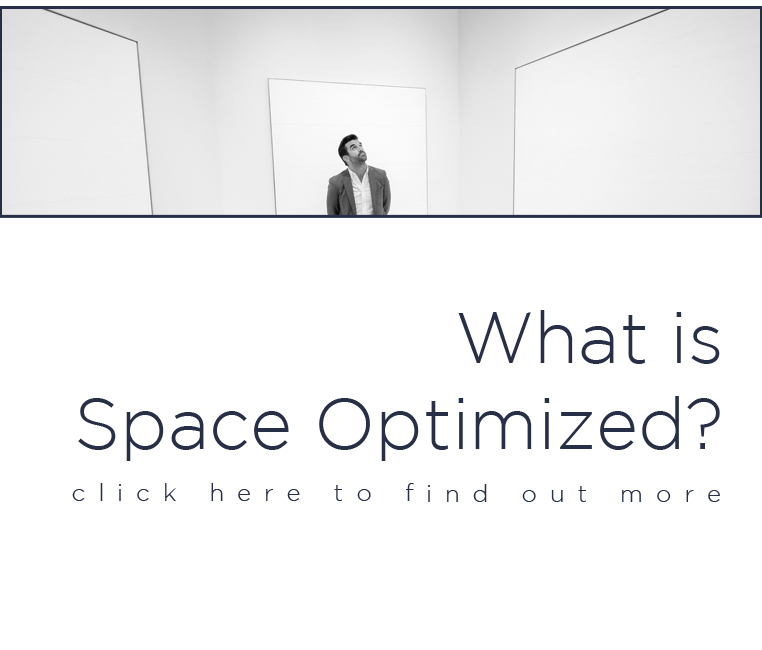 You want to make sure that the pieces of furniture or decors are not focused on a single spot; they should be distributed evenly all over the room to create a balanced design. For example, you might set the changing station near the crib but it’s better to set this on the wall opposite to it. Placing these massive pieces side-by-side affects the flow of the room. The same can be said for colors, patterns, and textures; you want to place these pieces in relation to each other to counter their visual weight as opposed to lumping them together. Storage space should be one of the main features of the room. Baby stuff will easily overwhelm the room if you didn’t prioritize the storage space. Thankfully, there are so many ways of stretching the storage space in any room, including the nursery. You can also go online for style ideas to keep you inspired. You want an organized, efficient storage system that includes lots of storage boxes, shelves, bins, and drawers to keep the nursery neat and tidy. It helps to develop a system when sorting and storing the baby clothes so the nursery stays pristine. Don’t get me wrong, I love color-coordinated rooms but when designing a nursery, avoid being too matchy-matchy with the colors and decors. A matchy-matchy color scheme is nice but it’s boring for a baby’s room. You want your baby to feel at home in this room so it should be decorated with homey decors. You may need to add a contrasting color to keep the design interesting, not sterile. Apart from using a contrasting shade to enhance the look of the nursery, play with different textures to add visual interest into the room. You can do this by decorating the nursery with playful decors, pillows, jute rugs, cushions, etc. When designing a nursery, make sure the room is something that a child would grow into. Think long-term. Do not limit the functionality and style of the room to just a year or two of your child’s life. Eventually, you’ll have to upgrade many of the furniture pieces. You’ll save more money if you think ahead. 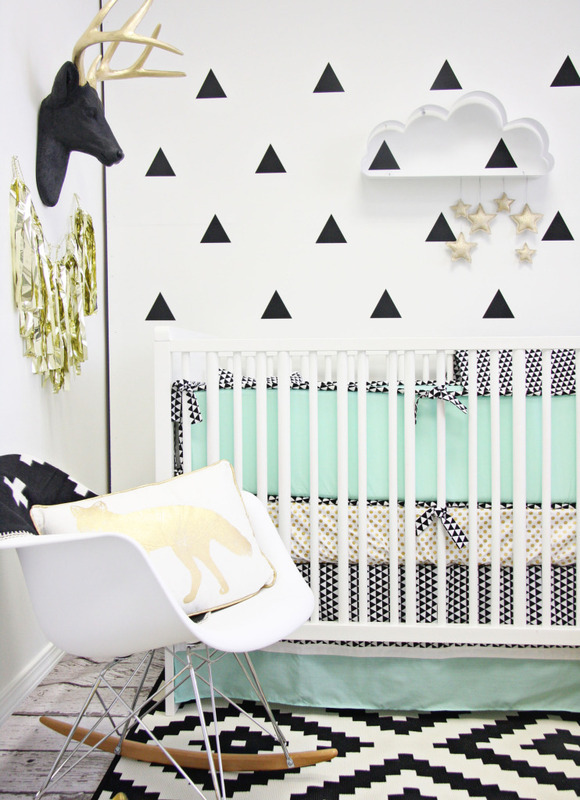 A standard crib may look fabulous now but once your baby grows, it’ll be useless. Invest in a convertible crib instead. A convertible crib could transform into a toddler’s bed. To make the most out of the space, get a dresser instead of a standalone-changing table and a dresser. You’ll get more use out of the dresser, a stand-alone changing table will be useless in just a few years. Don’t wait until the baby is on the move before baby proofing the room. Take care of the baby proofing now so you have the peace of mind knowing that the room is safe for kids of all ages. Make sure the room is free from sharp objects and choking hazards. Cover the floor with soft yet secured rugs to prevent slips. Anchor pieces of furniture down to avoid potential accidents.